THE New Year is always a great time to review a business. Business owners and their senior staff should be looking at ways to both accelerate sales and to control costs. It is here that having the right finance structures in place can really assist a business to outperform its competitors. These finance structures include investments, transactional banking as well as loan facilities. If business owners are looking at borrowing money to expand, they should closely consider the structure of the loan facility – that is, not only the term and limit of the facility but he way it is put together. Seasoned chief financial officers and business owners ensure any funding facility offers both flexibility and an appropriate cost structure. Interest rates are, of course, just one part of any funding requirement. These will vary according to the strength of the borrower and the nature of the facility. Business owners and chief financial officers need to consider how long they require the funding and what security they can offer against the loan. By doing this, they will achieve the best balance between cost and flexibility. Fees are often overlooked as people focus on interest rates when comparing loan options with various banks. But these are important as they an really add up over the term of the loan. For new loans, look very closely at what various loan options will cost you in establishment fees, line service fees and even review fees. The banking industry did away with review fees for commercial loans last century. So if your loan still has a review fee, then it is time to review the loan. We make every effort to offer the best of service – all of the time. 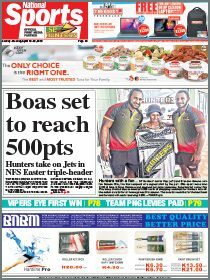 I think this is reflected in the number of long term successful businesses – many household names – that are now choosing to bank with the Westpac Papua New Guinea team. And it’s particularly reflected in the strong relationships we have with companies who have called us ‘their bank’ for a long time – our business in has grown alongside them. I truly believe that our commercial and business customers see that it is Westpac’s dedicated staff who make all the difference. Our staff believe in Westpac, in the importance of banking for business growth, and in the future of Papua New Guinea. 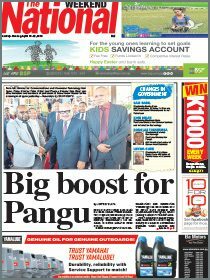 They also have a deep understanding of the Papua New Guinea business landscape and how our products can help a business to prosper and expand.